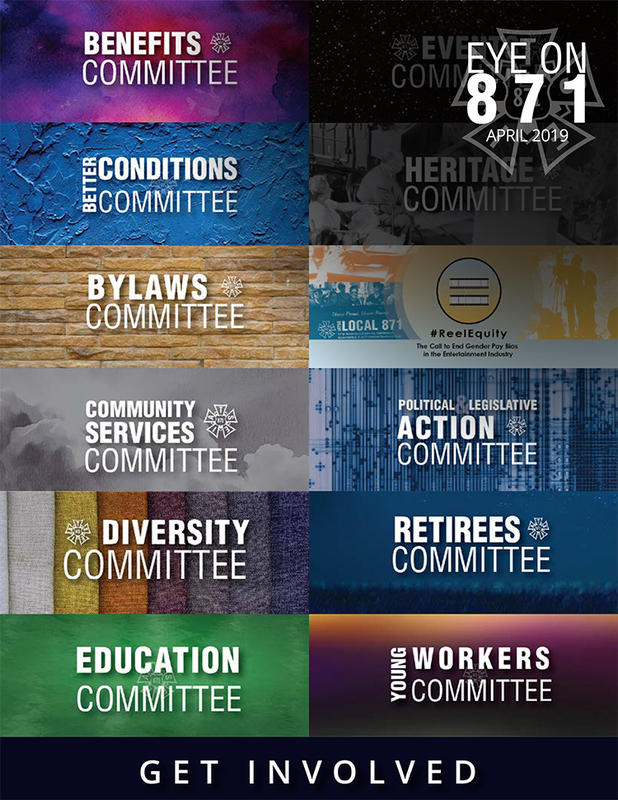 Local 871 represents a variety of crafts, which, despite their differences, share one attribute: we keep Hollywood organized. Whether on set or behind the scenes, Local 871 is the invisible machine that keeps the gears turning. On the set, the Script Supervisor works hand-in-hand with the Director, Cast and Camera, linking the set to the Editorial Staff and the result is what ultimately appears on screen. Teleprompter Operators are the display technicians that control the flow of words delivered to talent as they speak naturally into the camera. Production Coordinators run the Production Office, interacting with every department on a project and the vendors they use. They deal with production companies and major studios, legal and insurance departments, unions, agents, managers, caterers, air conditioning - whatever needs to be done, the Coordinator is there. They are the hub of the action behind the scenes and the go-to folks who help make it happen. Art Department Coordinators function in a similar capacity for the Art Department. From setting up facilities to tracking schedules, budgets, and inventories, the Art Department Coordinator is of invaluable assistance to the Production Designer. Accountants track the overall budget, process payroll, pay the bills, and help make sure the production's money is spent wisely. In the Sports Venues, Stage Managers are the liaisons for producers and talent, keeping talent on track during broadcasts, and prepping for pre- and post game interviews. Graphics Coordinators help facilitate all those beautiful on-screen graphics. Script Coordinators are involved in the copy editing, formatting and distribution of scripts and other written material on a production while the Writers’ Assistants keep a record of the script’s development during the writing process. Together, these talented folks make up our diverse union family and are a dynamic part of both the IATSE and the Entertainment Industry as a whole.